Drug addiction is impacting communities across America, taking 72,000 lives in the year 2017 alone. From 2002 to 2017: the number of opioid-related overdoses more than quadrupled. 2015: over two and a half million Americans had a substance use disorder involving opioids. 2017: an estimated 72,000 people died of a drug overdose (the majority of these were attributed to opioids). 2018: it is estimated that over 115 people will die of an opioid overdose every day. So what are opioids and how are they causing the worst drug epidemic in our country’s history? Opioids are a drug class composed of several different drugs, ranging from legal prescription painkillers like codeine and Vicodin® to more potent, illegal drugs like fentanyl and heroin. While some opioids can be obtained legally from a practitioner, they still pose a very high risk of addiction. These painkillers are overprescribed by doctors across the country, which has been a large contributor to the opioid epidemic. Many notable celebrities have died of opioid-related overdoses, including Elvis Presley (codeine), Prince (fentanyl), and Heath Ledger (a mixture of painkillers). The opioid crisis can be traced back to the late 1990’s. During this time, large pharmaceutical companies encouraged healthcare providers to prescribe opioids. These pharmas claimed that the vast majority of patients would not become addicted and that opioids can be used to effectively treat chronic pain. Both of these claims have since been proven false. InMyArea (IMA) spoke with Anna Lembke, MD, the Program Director of the Stanford University Addiction Medicine Fellowship and the Chief of the Stanford Addiction Medicine Dual Diagnosis Clinic. Dr. Lembke was one of the first to draw attention to the opioid epidemic in the medical community, and she wrote a best-selling book on the crisis in 2016. Patients typically expect a quick fix from doctors, and they often believe that an opioid prescription is one of the easiest ways to eliminate pain. When opioids are not prescribed carefully, however, addiction becomes common. Dr. Lembke notes that many studies have found that “approximately 25 percent of patients who receive an opioid from a physician for a bona fide pain condition will go on to misuse that opioid, and at least 10 percent will get addicted.” Some studies have shown even higher rates of addiction. Not only do many patients become addicted to prescription opioids, but these painkillers also increase the likelihood of addiction to other drugs. According to the National Institute on Drug Abuse (NIDA), individuals who have previously taken opioid painkillers for nonmedical purposes are 19 times more likely to start using heroin. Additionally, 80 percent of heroin users had previously misused prescription opioids before trying heroin. There has been a great deal of media attention about the opioid epidemic in recent years, as the death toll tied to overdose has continued to increase year after year. President Trump declared the crisis a “health emergency” in 2017. The public is becoming more aware of the epidemic, and as it does people are asking: What is being done to combat this crisis? Experts outline two fronts on the war against opioids. On one hand, there is a need for improved addiction treatment that is also widely available. On the other, the prescribing and availability of opioids must be reduced to prevent more people from becoming addicted. These two must work together in order to end the epidemic. Professional treatment for opioid addiction in the United States is currently lacking. Only about 10 percent of those suffering from drug addiction ever receive effective treatment. With so many people suffering from addiction, why is treatment so limited? One of the reasons for a lack of treatment is that there are stigmas attached to addiction. Until recently, the medical community did not recognize addiction as a disease. Sharon Levy, MD, MPH, is the Director of the Adolescent Substance Use and Addiction Program at Boston Children’s Hospital and an Associate Professor of Pediatrics at Harvard Medical School. During an interview with IMA, Dr. Levy noted, “the idea that addiction is a treatable medical disorder and not simply ‘bad behavior’ is relatively new and as a society we are still grappling with it.” Many doctors have been reluctant to embrace addiction as a disease, and thus are also reluctant to treat it. Not only is there stigma attached to the addicts themselves, there is also a stigma tied to addiction treatment. Medications like buprenorphine and methadone have proven to be effective for treating patients that are addicted to opioids; however, there is a misconception that using medication-assisted treatments like buprenorphine simply replace one addiction with another. Research shows these medications do not make a person high or cause feelings of euphoria; they simply reduce cravings and withdrawal symptoms by restoring balance in the areas of the brain affected by opioid abuse. This allows the brain to heal and recover over time. 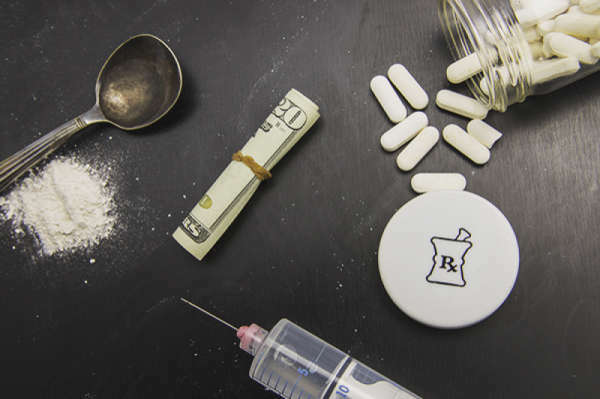 According to the Substance Abuse and Mental Health Services Administration (SAMHSA), the use of buprenorphine can reduce “illicit opioid use” by about 80 percent. Buprenorphine comes in the form of a film that dissolves inside the mouth, and you can begin to see its effects within 15 minutes. Even though medications like buprenorphine and methadone are highly effective for treating addiction, very few doctors can actually prescribe them. Practitioners are required to go through a training course to obtain a DATA 2000 waiver before they can prescribe these medications. Only about five percent of practitioners in the U.S. have obtained this waiver, and only half of those with a waiver actually end up prescribing the drug. This means that there are about 46,500 practitioners that can prescribe these life-saving medications in the U.S., while there are over two million people with opioid use disorder. It's a testament as to why addiction patients can’t find effective treatment. The Warren Alpert Medical School of Brown University is making strides to fight the epidemic in Rhode Island, one of the states hit hardest by the opioid crisis. In 2017, Brown’s medical school initiated a program that gives students the opportunity to receive the training needed to obtain a DATA 2000 waiver. With this 30-plus hour curriculum, students will be able to apply for the waiver and begin prescribing medication for treating opioid addiction in Rhode Island after they graduate. Traditionally, this training is not available to doctors until they are already practicing. The Warren Alpert Medical School was the first to implement this innovative program in the country. According to Dr. George, last year over 30 students from the 2018 graduating class completed the training program. This year the program is mandatory, which means that the entire class of 2019, composed of over 130 students, will become waiver-trained, that's nearly a 333% growth. Dr. George comments that other states are looking to adopt programs similar to the one at Brown, including Massachusetts, Arizona, and California. The University of Massachusetts Medical School has also started to offer waiver training to its pediatric residents. Including addiction treatment training in the curriculum at medical school could allow hundreds or even thousands of new doctors to prescribe addiction treatment medications. While practitioners typically need a waiver to prescribe medications to treat opioid addiction, this restriction does not apply to hospital emergency departments; however, many hospitals still do not provide these medications regularly. ED-BRIDGE, a SAMHSA program, helps emergency departments across California make buprenorphine accessible to patients suffering from opioid addiction. A study conducted by researchers at Yale, led by Gail D’Onofrio, MD, MS, and David Fiellin, MD, found that patients treated with buprenorphine in the emergency department are twice as likely to remain in treatment 30 days later. Sampson notes that 74 percent of all the patients treated in her ED for opioid addiction in the past 11 months are still in treatment today. The ED-BRIDGE program creates the opportunity for patients to receive accessible, long-term treatment that they may never have otherwise gotten. Many in the medical community believe that the only way to make lasting change and fight the opioid epidemic is to create a chronic care model for addiction that brings together doctors across all specialties. A chronic care model validates the fact that addiction is a disease and that it needs to be treated as such. An interdisciplinary approach also allows for more holistic treatment and gives doctors the chance to create a treatment program that will be the most beneficial for the patient. In addition to improving opioid addiction treatment, we need to prevent individuals from becoming addicted to opioids in the first place. A study conducted by the IQVIA Institute for Human Data Science found a 22 percent decrease in the prescription of opioids from 2013 to 2017 in the U.S. The same study also found a 12 percent decrease in the volume of opioid dosages prescribed. These reductions are likely due to limits placed on the quantity of opioids that practitioners can prescribe in certain states, as well as a government crackdown on the regulation of opioid prescriptions. It is important to note that while these numbers show a decrease in prescriptions and dosages, we have also seen a rise in opioid overdoses over the same time period. There is still a great deal of work that needs to be done to prevent new generations of opioid addicts, but it is a step in the right direction. A study conducted by researchers at the University of Southern California in 2018 found that many doctors are never alerted when one of their patients dies of an opioid overdose. In the study, researchers sent letters to doctors whose patients had died of an opioid overdose. The study found that doctors who received a letter reduced their prescription of opioids to patients by nearly 10 percent in comparison to doctors who did not receive a letter. Making doctors more aware of the damage that opioids can do to their own patients could contribute to a reduction in opioid prescriptions. The government has taken steps to help prevent people from having access to illegal opioids. On September 18, 2018, the U.S. Senate passed The Opioid Crisis Response Act of 2018, which allocates $8 billion dollars to various agencies, programs and state governments. The bill was passed with a 99-1 vote and is composed of several proposals aimed at bringing an end to the opioid epidemic. One of the proposals initiated the Synthetics Trafficking and Overdose Act (STOP). STOP aims to improve the security and screening processes within the United States Postal Service. The purpose of this act is to prevent illegal drugs like fentanyl from entering the States through the mail. Acts like this may reduce access to dangerous street drugs that are responsible for a high percentage of the nation’s opioid overdoses. The Opioid Crisis Response Act will also require the FDA to limit the amount of prescription opioids that can be delivered in a single blister pack in order to prevent long-term use of these painkillers. The act will also fund research for the development of non-addictive painkillers. One such drug is already in the trial phase. This new drug, called AT121, is non-addictive, does not create feelings of euphoria and is more effective for relieving pain than morphine. While AT121 still must undergo additional testing before it can be prescribed by a doctor, it holds a promising outlook for the future of preventing addiction. In addition to taking measures to prevent addiction, the act also strives to improve addiction treatment. The bill will allow medical school graduates to prescribe addiction treatment medications like buprenorphine without going through the standard DATA 2000 waiver program. The medical school's curriculum must first be approved by the Department of Health and Human Services in order to qualify. The bill must still go through the Congressional reconciliation process with an earlier version from the House of Representatives. A vote on a final version for both chambers is planned for mid-October. “Buprenorphine Waiver Management.” Substance Abuse and Mental Health Services Administration, 18 Jan. 2018. Devlin, Hannah. “Opioid Crisis: Breakthrough in Hunt for Non-Addictive Painkiller.” The Guardian, 29 Aug. 2018. George, Judy. “Why do so Few Docs have Buprenorphine Waivers?” Medpage Today, 14 Feb. 2018. George, Paul. Personal interview. 12 Sept. 2018. Goodnough, Abby. “This E.R. Treats Opioid Addiction on Demand. That’s Very Rare.” New York Times, 18 Aug. 2018. Hedt, Stephanie. “Study: Doctors Reduce Opioid Prescriptions After Learning a Patient Overdoses. USC News, 9 Aug. 2018. Institute Report. “Medicine Use and Spending in the U.S. A Review of 2017 and Outlook to 2022.” IQVIA, 19 Apr. 2018. Itkowitz, Colby. “Senate Passes Sweeping Opioids Package.” The Washington Post, 17 Sept. 2018. Kashef, Ziba. “Emergency Department Treatment for Opioid Addiction Better than Referrals.” YaleNews, 28 Apr. 2015. Lembke, Anna. Personal interview. 6 Sept. 2018. Levy, Sharon. “Re: Questions on the Opioid Crisis.” Received by Taylor Shuman, 6 Sept. 2018. Lopez, German. “How to Stop the Deadliest Drug Overdose Crisis in American History.” Vox, 21 Dec. 2017. Lopez, German. “There are Solutions to the Opioid Epidemic. Here’s how you Convince People to Support Them.” Vox, 13 Sept. 2018. "Medical Student Creates Pilot for Making MAT Waiver Training Part of UMASS Medical School Curriculum." Providers Clinical Support System. n.d.
“Opioid Addiction 2016 Facts & Figures.” American Society of Addiction Medicine, n.d.
“Opioid Overdose Crisis.” National Institute on Drug Abuse, 1 Mar. 2018. “Opioid Prescribing.” Centers for Disease Control and Prevention, 26 Sept. 2017. Orenstein, David. “Unique Medical School Program Trains Students to Qualify to Treat Addiction.” Brown University, 7 July 2017. “Overdose Death Rates.” National Institute on Drug Abuse. 1 Aug. 2018. “Physician and Program Data.” Substance Abuse and Mental Health Services Administration, 18 Jan. 2018. “Prescription Opioid Use is a Risk Factor for Heroin Use.” National Institute on Drug Abuse, 1 Jan. 2018. Sampson, Arianna. Personal interview. 13 Sept. 2018. Volkow, Norah. “How can we Better Support Physicians in Addressing the Opioid Crisis?” National Institute on Drug Abuse, 31 Aug. 2018.